This story is taken from the real-life marriage of two people in the early 1960s. Helen North (Lucille Ball) is a widow with eight children who falls in love with Naval officer Frank Beardsley (Henry Fonda), a widower with ten children of his own. The two marry as comedy ensues from the sheer numbers and diverse age groups of the offspring. Narration is used in the first half of the film to help set the stage for the impending nuptials. Van Johnson is the mutual friend who brings the couple together. Tom Bosley plays the harried doctor who makes a house call and finds almost two dozen patients under one roof. The newlyweds are soon off to the hospital when Helen becomes pregnant with the couple's first child in this amusing family comedy. Special Notes: Location scenes filmed in San Francisco. Based on the true story about the Frank and Helen Beardsley family of California in the early 1960's. 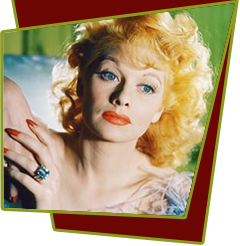 Desilu Productions bought the rights to the story long before Helen's autobiographical book Who Gets the Drumstick? was released to bookstores.